On the 21-22nd August Sigulda the annual meeting of the heads of Baltic nature conservation institutions took place. LIFE integrated project team was also invited to share its experience in developing and implementing the first LIFE integrated project. The event was hosted by Nature Conservation agency of Latvia in Sigulda. Project team had an opportunity to get acquainted with Latvian experience in conservation and renovation of Fennoscandian wooded meadows. Found out main challenges of habitat management in Gauja National park. As well as exchange news, information on challenges and best nature conservation praxis around the Baltic states. Special attention was paid to national Natura 2000 network conservation and management programme of Latvia. Also to its national guidelines for habitat management. The documents that should be developed in the future in Lithuania within the framework of the NATURALIT actions. NATURALIT experience was presented by Project manager Birutė Valatkienė. She was accompanied by Project manager’s assistant Jurgita Visakavičiūtė, Director of State Service for Protected areas Albertas Stanislovaitis (SSPA), Manager of Methodical analytical center Dalius Dapkus and Project administrator from SSPA Dalia Čebatariūnaitė. The meeting gave NATURALIT team the first opportunity not only to share good practice with counterparts from neighboring countries. Lithuanian experience is useful as colleagues are currently developing concepts for integrated projects under the LIFE Nature programme. The event also gave a lot of useful information and helped to establish great contacts for future cooperation. 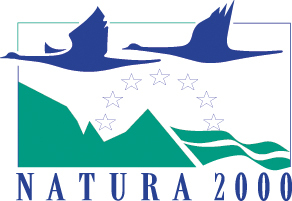 “NATURALIT is meant to be an important part of Natura 2000 network and protected areas in Lithuania for upcoming 10 years. Therefore it is obvious that we have to be able to use the best practice. As well as timely response to the issues and needs of the institutional system.” – Birutė Valatkienė, Project manager, shared the ideas after the meeting.